The Big Drama Army General, Maxwell Brobbey Vespa , known in showbiz as MAX MANNIE is out with this controversial banger titled #mengyimiie3 which simply means ‘im not a fool”. 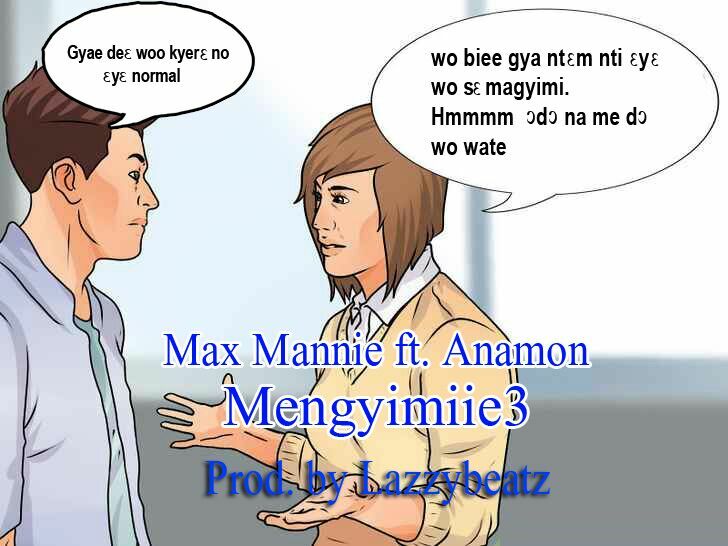 He features another GH BASED artist Anamon and produced by lazzybeatz. This song will surely spark up a debate on who is more ungrateful between a Man and a Women, be sure to share this great tune to help spark the conversation!